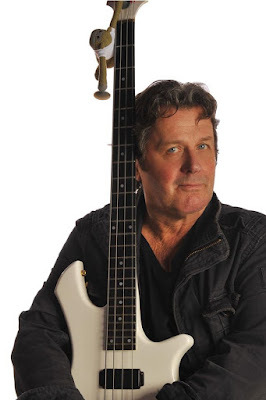 Asia vocalist and bassist John Wetton died today at the age of 67 following a three-year battle with colon cancer. Wetton recently advised fans that was to undergo a new medical chemotherapy procedure that would sideline him from the group’s appearance on the upcoming Yes-hosted Cruise To The Edge event and the spring leg of a North American tour with Journey. The bassist revealed that Billy Sherwood from Yes would step in to cover his duties on the pair of treks. “It is with great sadness and a heavy heart that I have to report we have lost my dearest friend, brother, bandmate and long term musical collaborator, John Wetton, who has passed away after a long and tenacious battle with cancer,” says Asia keyboardist Geoff Downes. “He will be remembered as one of the world’s finest musical talents, and I for one of many was wholly blessed by his influence. It was a massive privilege for me to have worked with this genius so closely on our numerous projects together over the years. His bass playing was revolutionary. His voice was from the gods. His compositions - out of this world. His sense of melody and harmony - unreal. He was literally a 'special one'. “With the passing of my good friend and musical collaborator, John Wetton, the world loses yet another musical giant,” says Asia drummer Carl Palmer. “John was a gentle person who created some of the most lasting melodies and lyrics in modern popular music. As a musician, he was both brave and innovative, with a voice that took the music of Asia to the top of the charts around the world. Wetton made a name for himself with several UK progressive rock bands before joining King Crimson in 1972. He was on board for three albums by the time the group disbanded in 1974, with the bassist next appearing on records by Bryan Ferry, Uriah Heep and Roxy Music. Wetton reunited with King Crimson drummer Bill Bruford to form the supergroup UK with Eddie Jobson and Allan Holdsworth in 1977. Following a tour in support of their self-titled 1978 debut, Holdsworth was fired and Bruford exited, replaced by Frank Zappa drummer Terry Bozzio. 1979’s “Danger Money” was the trio’s final release before shutting things down in 1980. Wetton was an on-again/off-again member of Asia through the 1980s and 90s as he built a solo career while also working as a session musician before reuniting with the band in 2006 for four more records.